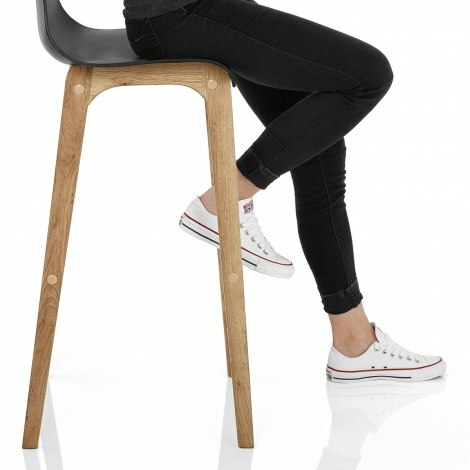 Introduce some cool retro style to your interior with the High Drift Oak & Black Bar Stool. The Drift is one of our famously popular designs and is now set at a taller height, fit for commercial bars and high kitchen worktops. Effortlessly combining old and new style influences, the High Drift is perfect for both modern and traditional settings. 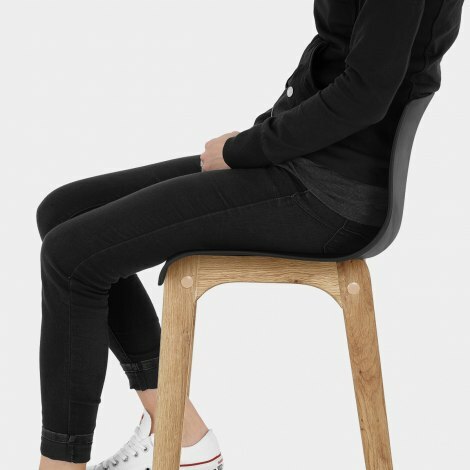 Ergonomically shaped to support the body, the minimalist seat has a mid height backrest for added comfort and is formed of durable black matte resin. 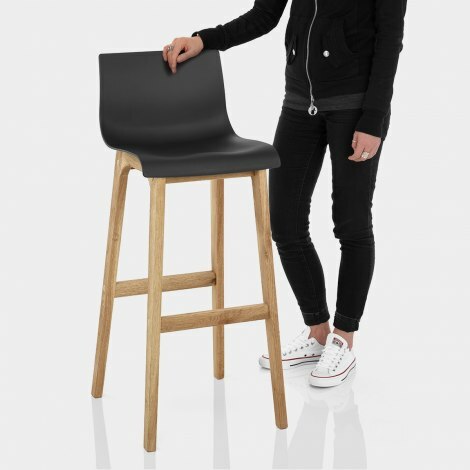 Its four-legged frame is crafted from solid oak for premium strength and lends a natural quality that contrasts beautifully with the seat, which has a seat height of 78cm. "Ideal...compact yet comfortable, stylish and cleverly designed"
We bought these bar stools for a little garden barn style bar and they are ideal...compact yet comfortable, stylish and cleverly designed. Really happy with them.